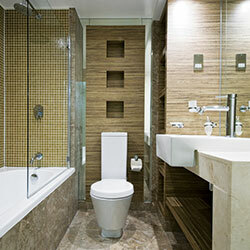 Unless you have a farm outhouse, your home cannot function without a working toilet. But keep your toilet in good order, you must understand how it works. 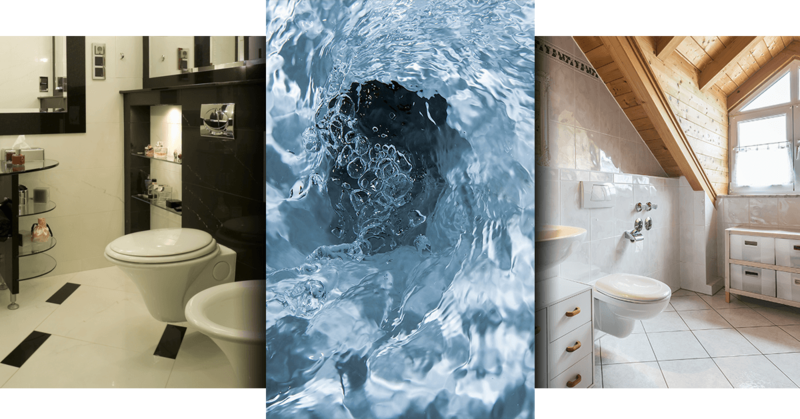 Here are the basics of traditional, gravity-flush toilets, how they work, and how you can keep your porcelain goddess pristine and functional for the long run. Water flows from the tank to the rim channel, which allows water to flow underneath the toilet seat and fall through tiny “rim slots,” or holes that push water downward to clean the sides of your toilet bowl. Using a mix of air and water, the main channel allows water to flow from the bowl through the siphon, or the hole where all your waste exits the toilet bowl. With enough force and a precise combination of air and water, the toilet creates an eductor, or pulling motion, that forces your waste in the siphon channel. Once enough water fills the toilet bowl, it spills over a raised lip. This lip is low enough to allow water to pour from your bowl into the sewer system, and high enough to keep water in your toilet bowl when it’s not in use. This is the magic of physics and toilet engineering. After the waste falls over the lip, gravity pulls it into the sewer system, where a protective flap keep all those noxious sewer fumes from entering your home. Soon after the toilet flushes and water drains from the tank, the flapper valve lowers back into its original position, which seals the tank and allows new water to flood the tank—so your toilet is ready for the next flush. To keep your gravity flush toilet flushing smoothly, it’s important to monitor the state of the parts in the toilet tank. These parts are fairly inexpensive, but can also fall victim to wear and tear over time. Replacing the tank-ball and flapper valve on your toilet will allow for a stronger seal on your flush valve, ensuring that your toilet doesn’t run intermittently or leak into the bowl, which can add money to your water bill. Keeping your toilet drain clear is another way to improve the performance of your toilet, and avoid costly sewage backups and plunger-proof clogs. For minor clogs and buildup, a mixture of baking soda, vinegar, and hot water can loosen up clogs and clean the inside of your toilet drain. For more advanced clogs, it’s best to call a drain-clearing professional. That’s where Emergency Plumbing & Solar can help. As dedicated and experienced plumbers of Honolulu and the entire island of Oahu, we can help repair and replace faulty parts in your toilet, provide education on proper toilet care and maintenance, and clear any toilet clogs or backups—24 hours a day. 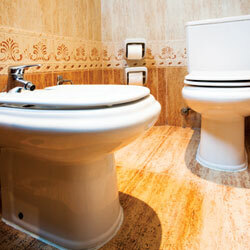 Contact us today to flush your toilet problems away! Toilet Talk, Part 1: The Basics of Toilets Overall rating: 5 out of 5 based on 10 reviews.